Regional parliament legislators in Catalonia have voted back into office a president who has promised to stage a hugely controversial referendum on independence from Spain. 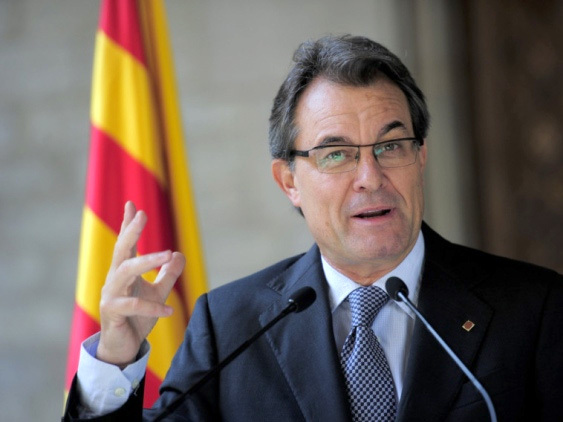 Artur Mas, head of the Convergence and Union group, was re-elected president Friday in a 71-63 vote. Mas called early elections in November having proposed the referendum after Spain rejected demands to grant the region special fiscal powers. But his party did worse than expected in the election and was left needing a provisional partnership agreement with Catalonia’s pro-independence Republican Left. Spain’s national government says any referendum proposing a change in the region’s status within Spain would be illegal and unconstitutional. Polls show Catalan residents are evenly divided over independence, but a majority opposes it if it means exiting the European Union.